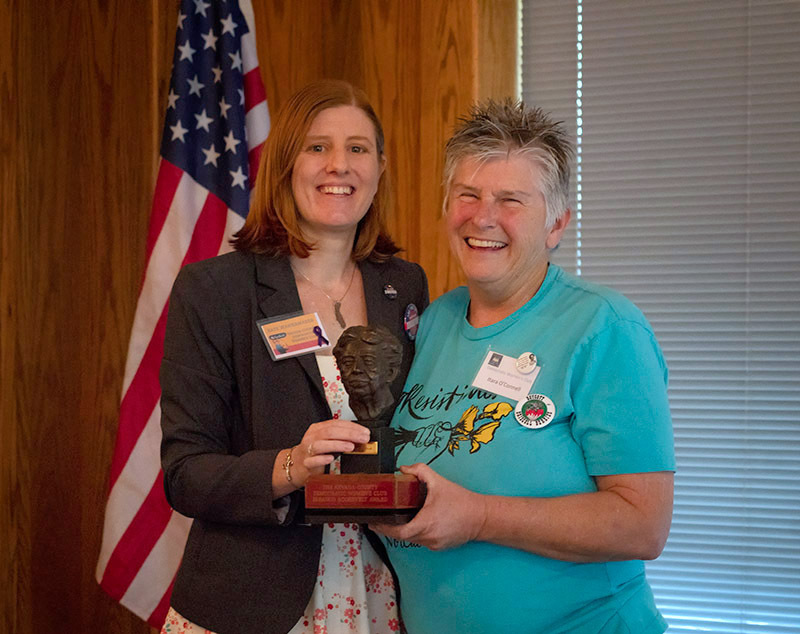 Join us for our annual Eleanor Roosevelt luncheon and dessert dash fundraiser as we honor both Speaker Desiree Bates Rojas: activist, organizer and President of the Labor Council for Latin American Advancement Sacramento Chapter and the 2018 Recipient of the NCDWC Eleanor Roosevelt Award, Itara O’Connell. ActBlue at https://secure.actblue.com/donate/elro2018 or email nevcodwc@gmail.com to pay by check. $30 includes lunch and gratuity. RSVP and payment required by October 3, 2018. I would like to attend but I would need a ride. If someone can pick me up at Eskaton Village or meet to carpool, let me know….205-9440.